Imagine. You go to your favourite library. There is almost nothing better than seeing hundreds of books, all meticulously arranged row by row; standing side by side. You see the one you want! However, we do all agree by saying that sometimes only a few words are already enough to say it all (well, at least sometimes!). We are speaking of minimalist poetry; this type of literature that literally screams less is more. The rise of minimalist poetry has neither a clear beginning nor do we actually know who was the initial creater who “invented” it and although this literary movement is not as clearly defined as other poetry movements, it does show some specific characteristics that make it very unique and extremely remarkable. 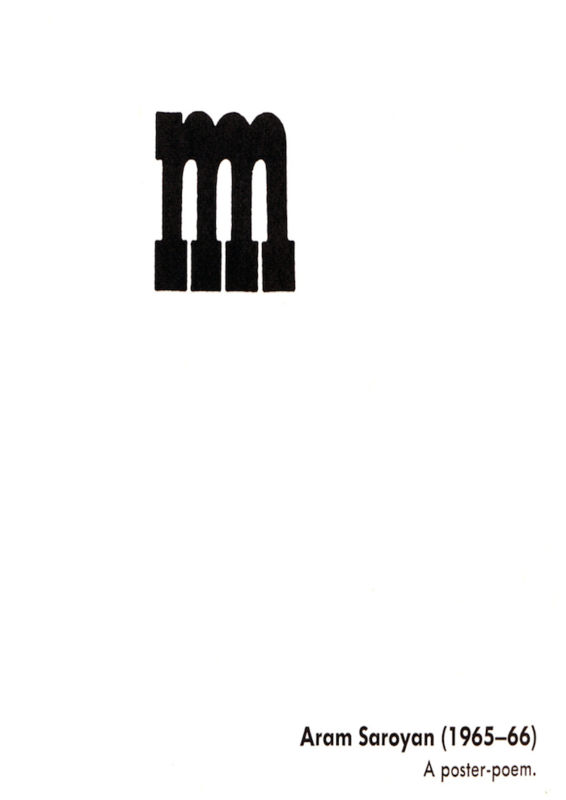 Two names that we should instantly connect with minimalist and visual poetry of the late 1960s and early 1970s are Aram Saroyan and Richard Kostelanetz. The well-known American poet, novelist and biographist Aram Saroyan is considered to be one of the ‘masters’ of the one-word poem. His four-legged “m” has been cited in the Guinness Book of Records as the world’s shortest poem. 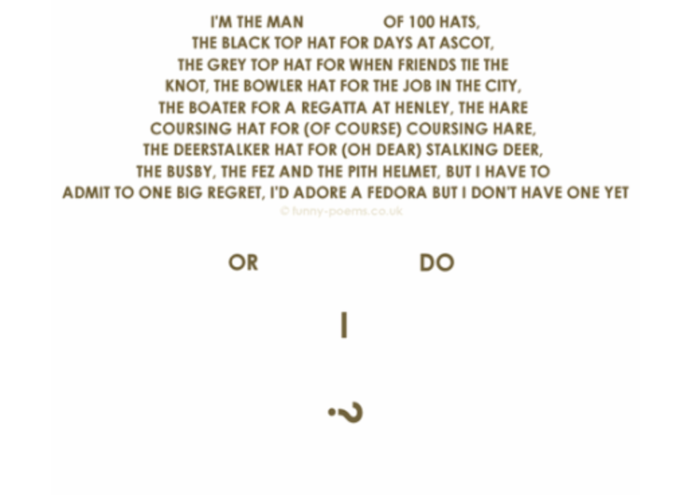 This example clearly shows what minimalist poetry is about. Minimalist poems do not set scenes, introduce characters or excessively describe people, scenes, actions or any other specific events as you normally expect from a poem. No! These poems do the complete opposite. They are as concise as possible and seek to convey meaning while also eliminating the amount of words. 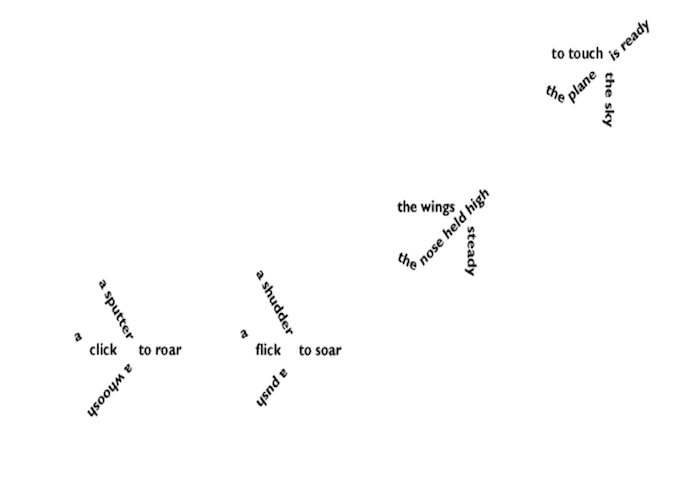 As well as concrete poetry, minimalist poetry is about visual representation. Because one- or two-word poems don’t rely simply on meaning for effect, the shape and placement of those words on the page can make a significant impact. You can almost say that this kind of poetry is reduced to its essentials; single words.